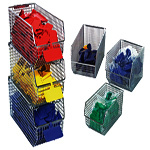 Wire mesh bins have a 3/8" x 3/8" grid pattern allowing complete visibility of the bin's contents. 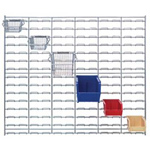 Unique mesh pattern provides a dust and dirt free storage environment. 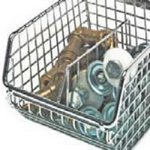 Mesh bins have a rear hanger that allows them to hang from any louvered wall panel or rail system. 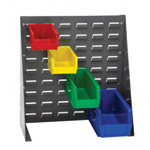 The open hopper design allows for easy picking while allowing visual access to stored contents. Note the minimum order for each is in parenthesis in the quantity column. 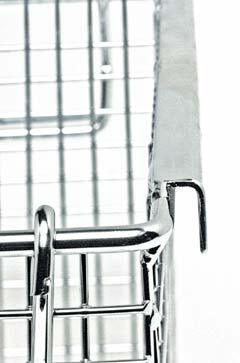 Orders will need to be in multiplies of this quantity. Price listed is per each bin.